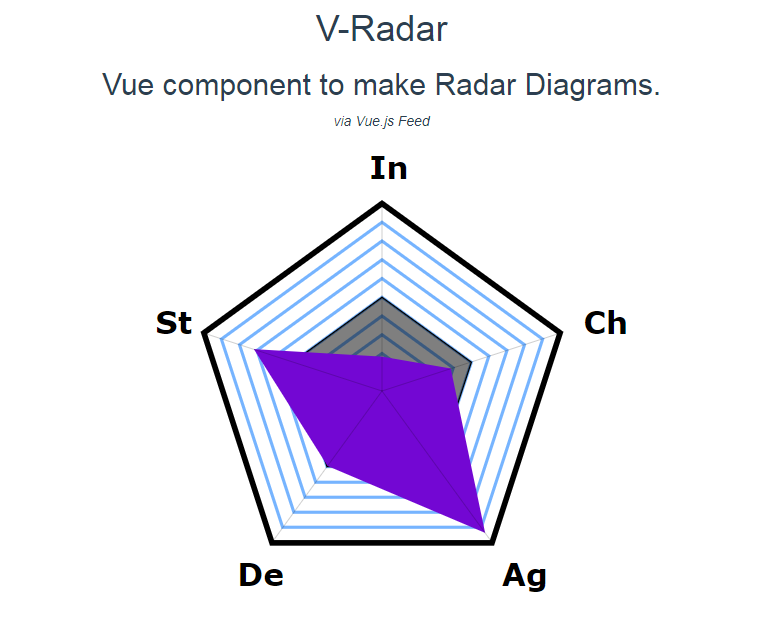 Vue Radar is a component, with it you can create radar diagramms. 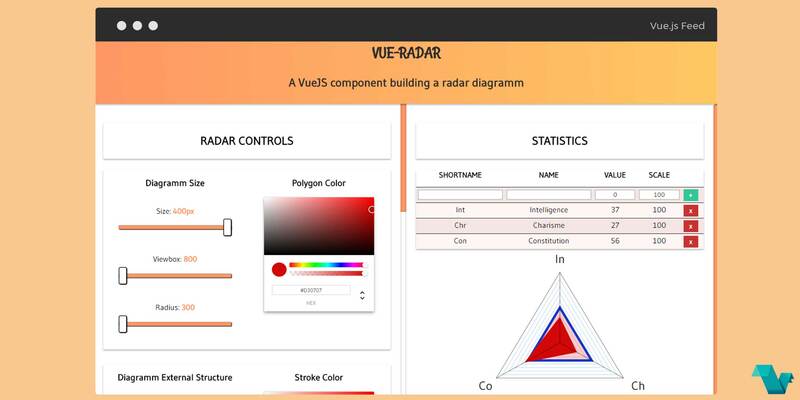 It allows you to use your own statistics, colors and more to build a specific radar diagramm. To start working with the Vue Radar use the following command to install it. Import it where you need it and don't forget to add it to your components object. Note: It is possible to use only the optiions which are required, 3 stats and the polycolor option and you can have a radar diagram. That's it! If you would like to get involved with vue-radar-diagram, head to the project's repository on GitHub, where you will also find the source code.